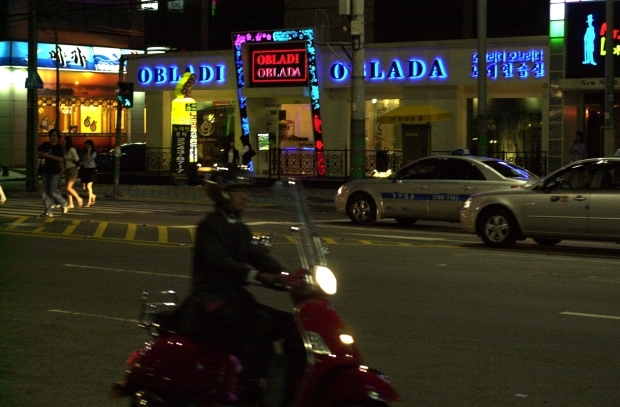 Obladi Oblada is the noraebang (karaoke) across the street from my apartment in Jangandong. I go there less often than I sit in front of Time 25 (convenience mart) with my friends looking at it, and people. Tomorrow is my first Korean class in Hongdae. I can't wait. I may use the nooribang to practice my Korean.